U.S. equity index futures were mixed this morning. 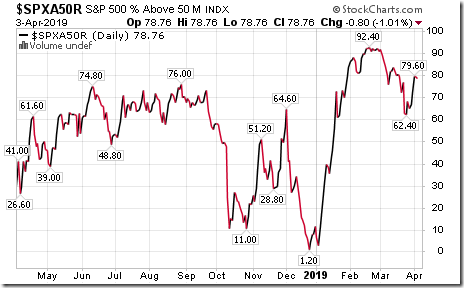 S&P 500 futures were down 1 point in pre-opening trade. 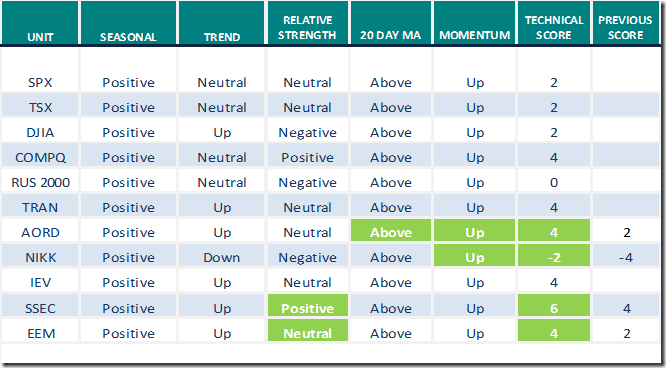 Index futures were virtually unchanged following released of the Weekly Jobless Claims report at 8:30 AM EDT. 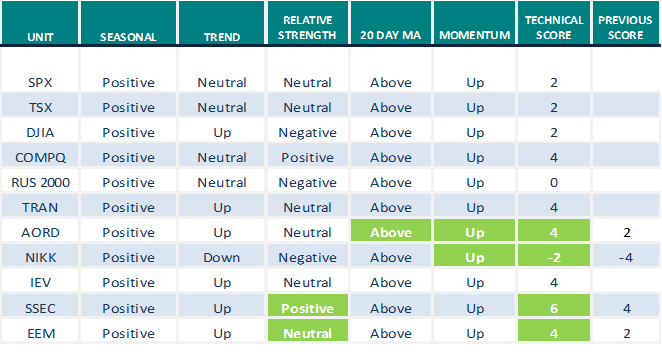 Consensus was an increase to 219,000 from upwardly revised 212,000 last week. 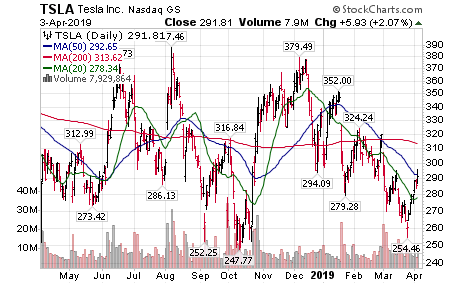 Actual was 202,000. 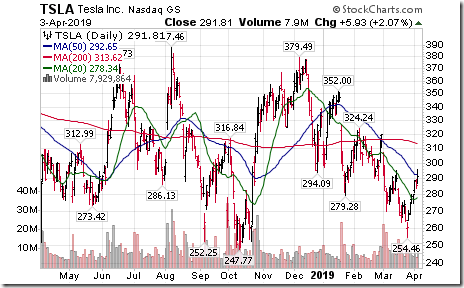 Tesla dropped $26.96 to $264.70 after the company delivered lower than expected first quarter vehicles. 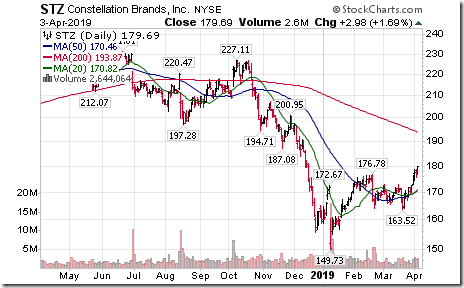 Constellation Brands (STZ $179.69) is expected to open lower after reducing 2019 guidance. 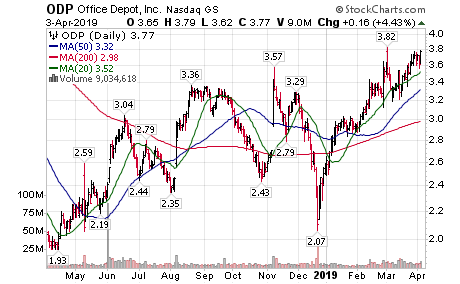 Office Depot (ODP $3.77) is expected to open lower after reducing first quarter guidance. 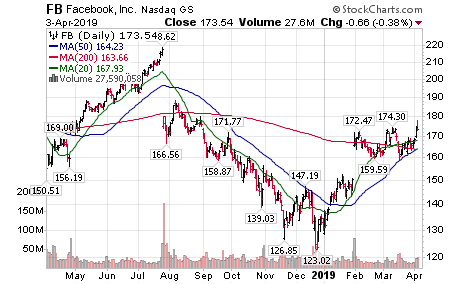 Facebook gained $3.09 to $176.63 after Guggenheim upgraded the stock to Buy from Neutral. 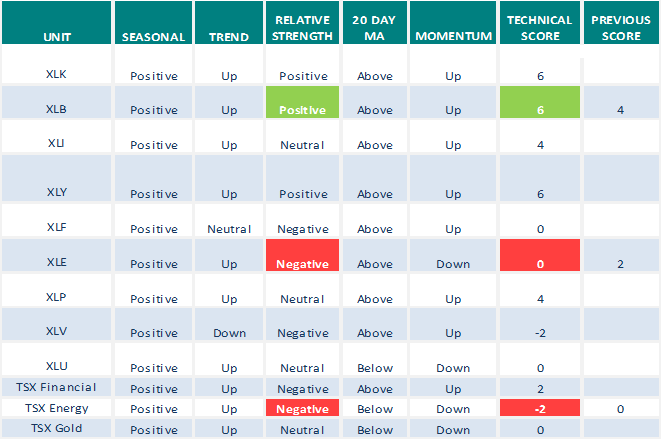 Note seasonality charts on the Materials sector, DAX Index and Crude Oil days of supply. 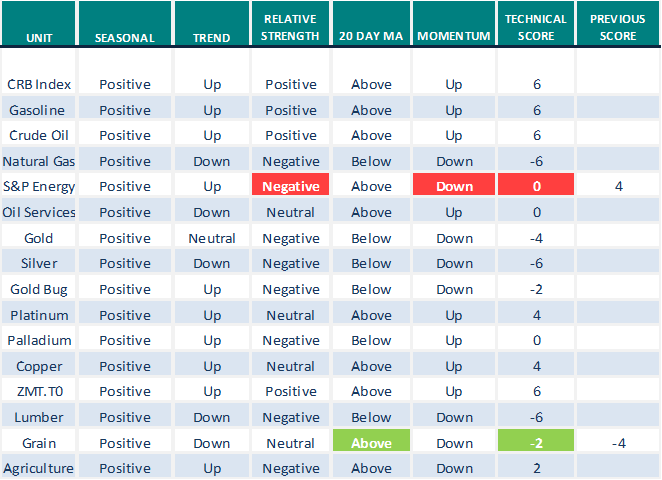 Technical action by S&P 500 stocks to 10:15: Bullish. 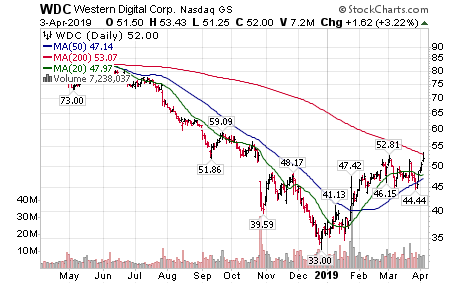 Intermediate breakouts: $ORLY $ALLE $PH $FB $LYB $AMG $TEL $WDC $MXIM. 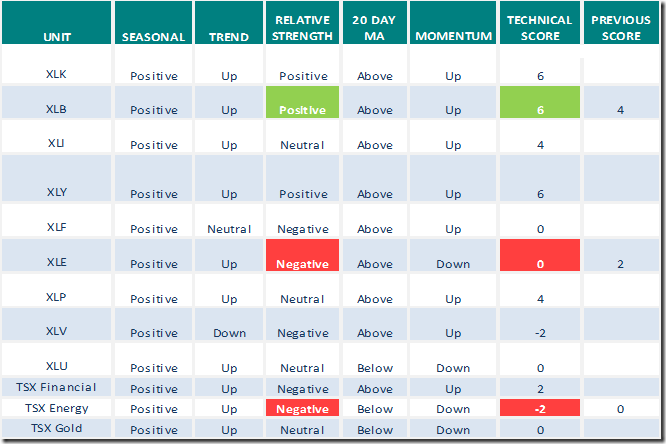 No breakdowns. 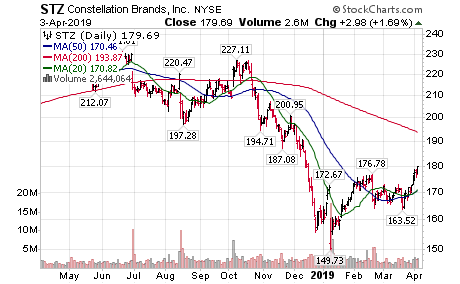 Editor’s Note: After 10:15 AM EDT, breakouts included CTSH, MAR and DRE. 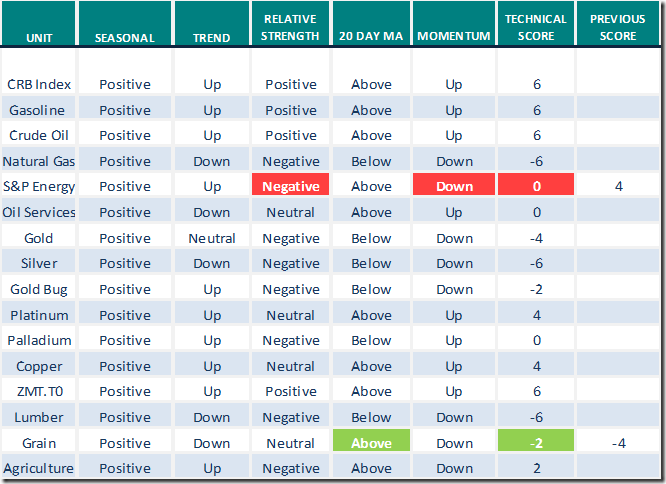 Breakdowns included MDT and RTN. 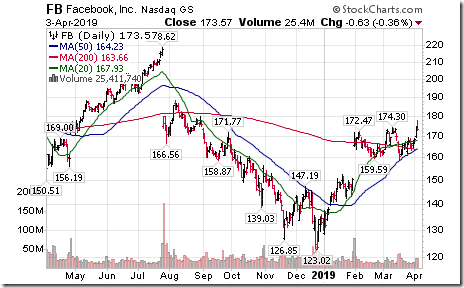 Facebook $FB, one of the FAANG stocks moved above $174.30 extending an intermediate uptrend. 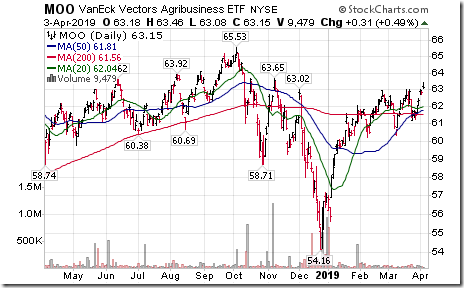 Agriculture ETF $MOO moved above $63.00 extending an intermediate uptrend. 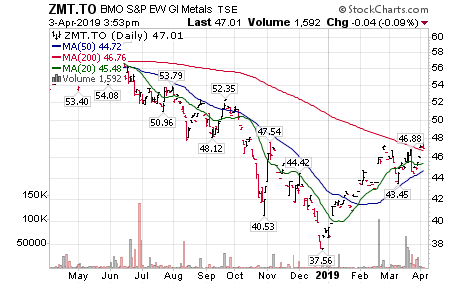 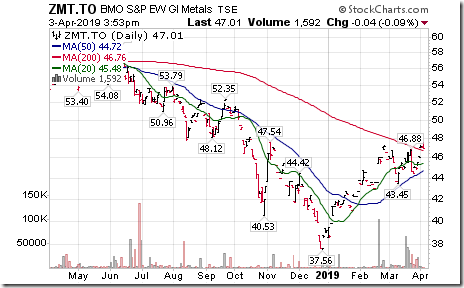 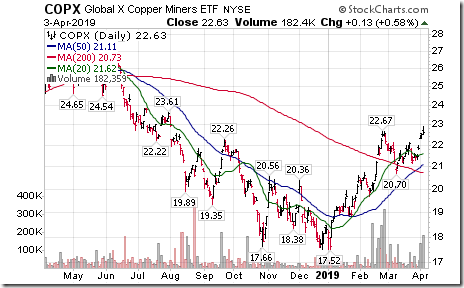 BMO base metals ETF $ZMT.CA moved above $47.25 completing a reverse Head & Shoulders pattern. 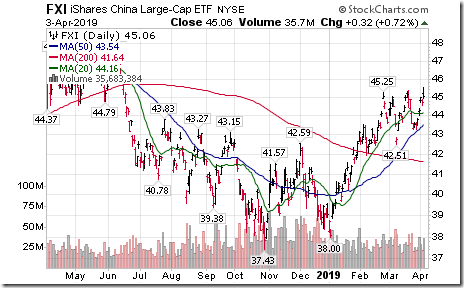 China iShares $FXI moved above $46.25 extending an intermediate uptrend. 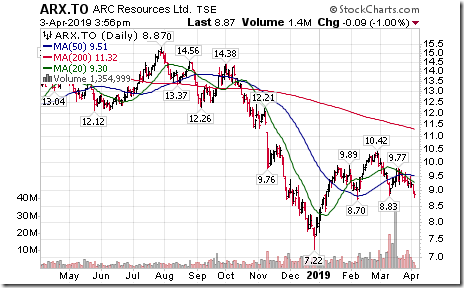 ARC Resources $ARX.CA moved below $8.83 setting an intermediate downtrend. 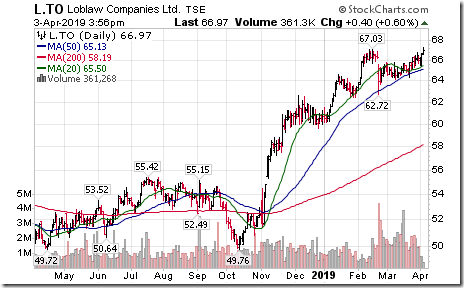 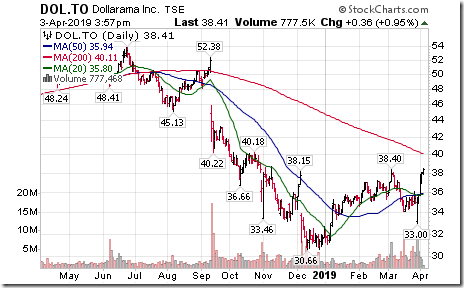 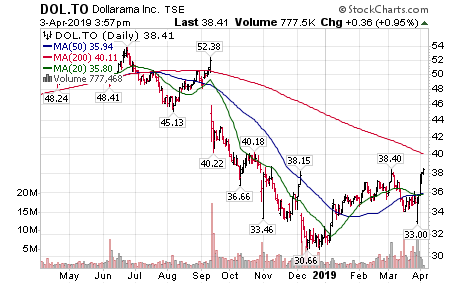 Loblaw Companies $L.CA, a TSX 60 stock moved above $67.03 to an all-time high extending an intermediate uptrend. 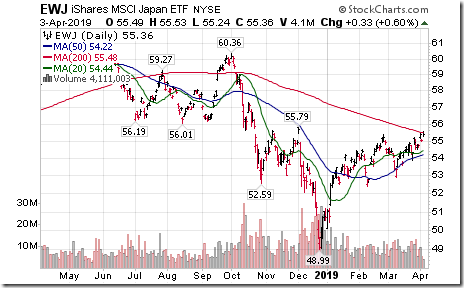 The Barometer slipped 0.80 to 78.76 yesterday. 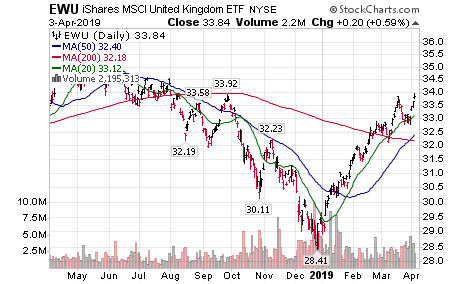 It remains intermediate overbought. 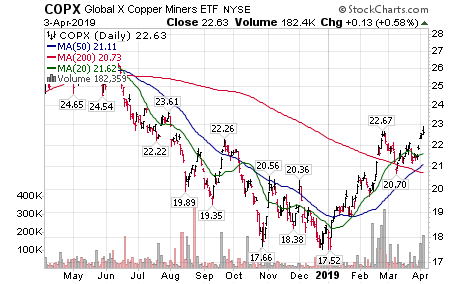 The Barometer dropped 2.06 to 67.08 yesterday. 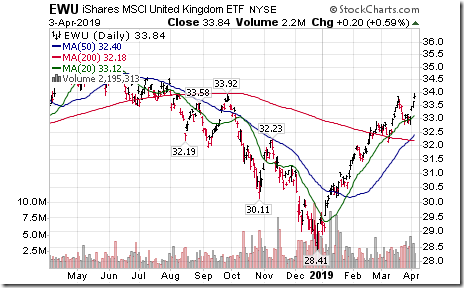 It remains intermediate overbought. 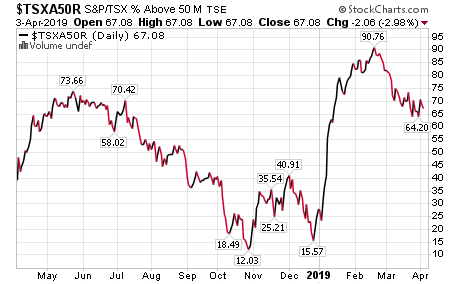 Financials – Can’t go to new all-time highs without them. 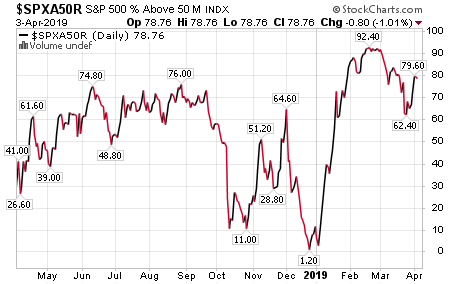 They continue to outperform the SP500 since March 25th. 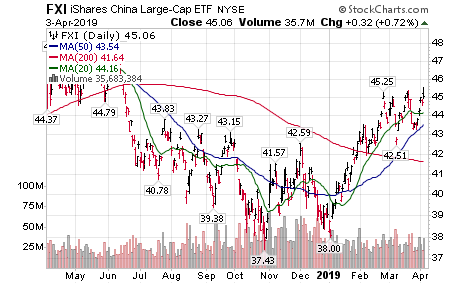 FXI (China) at new highs going back to Jun/18 which is positive for the overall market. 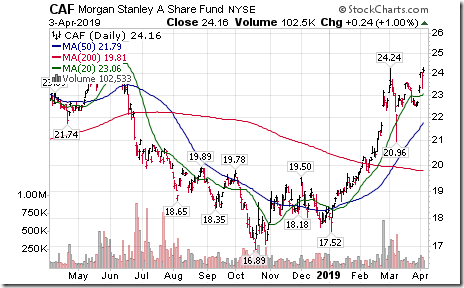 It looks like a slow grind higher. 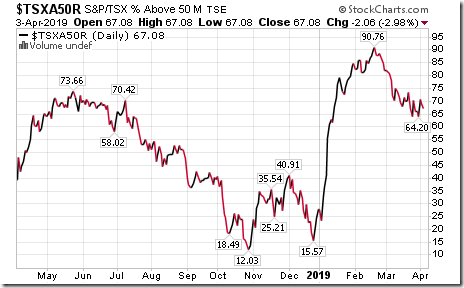 Is anyone aware whether Equity Clock changed their access to charts by subscription only? 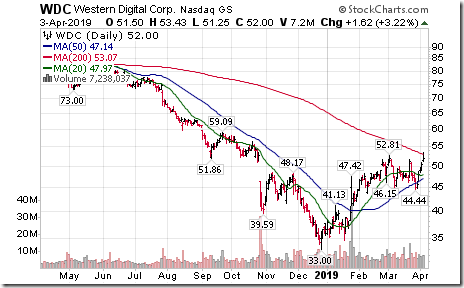 Seems like every chart I try to access is now asking for registration/subscription. 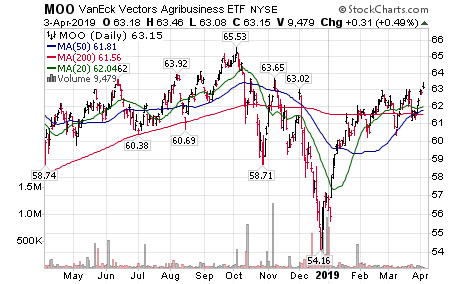 I haven’t had any issues. 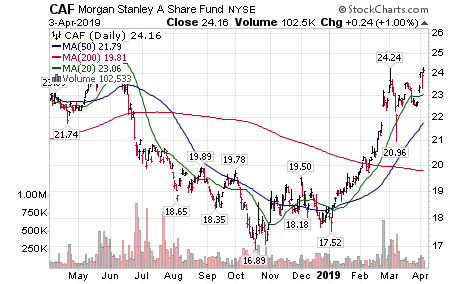 Seems to be working like before.